After 8 years experience of managing Peugeot main dealers we opened Roston Park Motors back in 2005. For 10 years we were based in Stoney Stanton, Leicestershire and in October 2015 made the exciting decision to relocate to Nuneaton, Warwickshire. Now in our 14th year we are now located at a purpose built space in Nuneaton, Warwickshire where we can offer our customers more facilities and closeness to public transport links as well as situating ourselves in a busier location. 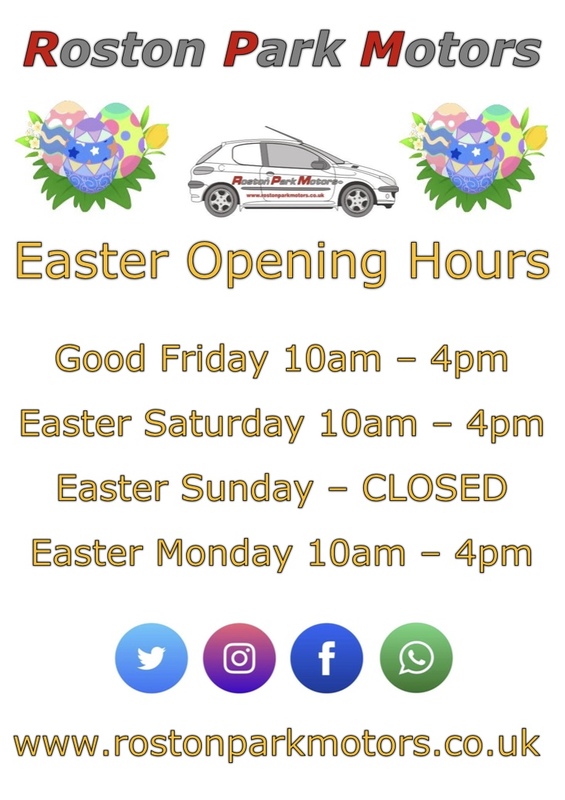 Roston Park Motors remains the same friendly, family run, independent business supplying the same great affordable quality used cars and outstanding customer service our customers have grown to know over the past 14 years. Our quality used cars are all hand picked by ourselves, fully HPI clear and serviced and MOT'd where required, when sold to ensure you have the very best reliability from your new vehicle. 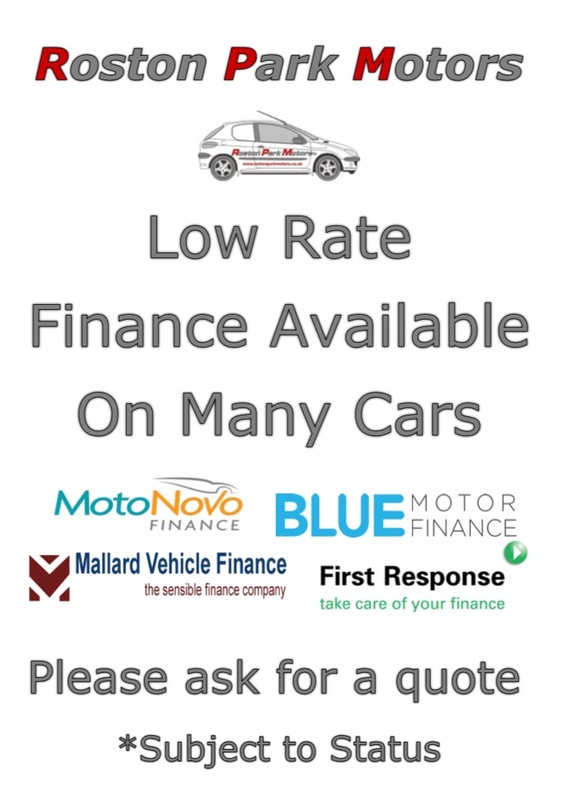 Finance now available, subject to status. Please ask for details. 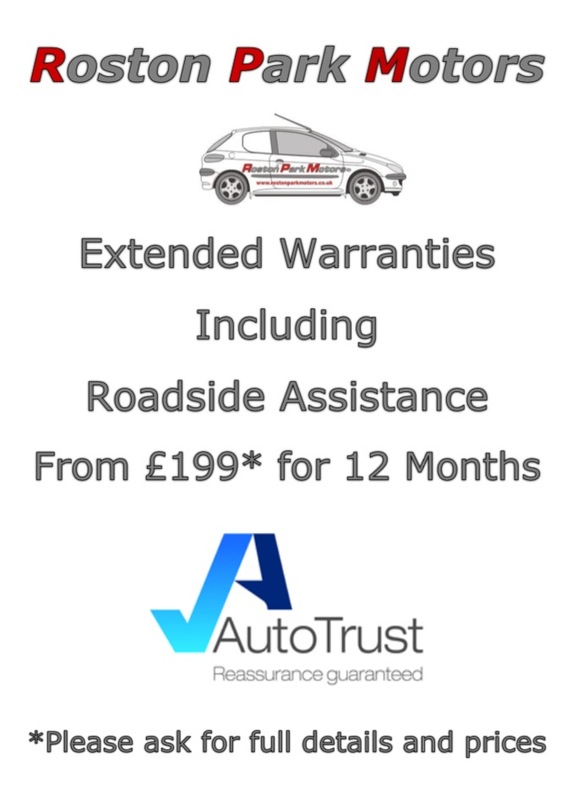 Extended Warranties available on request, please ask for more details. If you are looking for something specific, please email us or give us a call on 02477 672525 or 07868 722133. Paul & Victoria, Owners, Roston Park Motors. We are a small, independent, family run business now in our 12th year, who really care about supplying quality used cars to our customers. 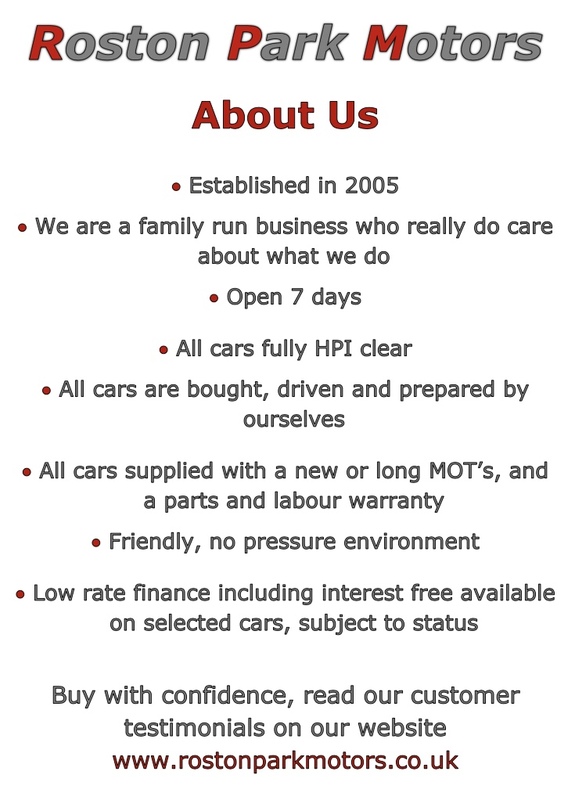 Our quality used cars can be viewed 7 days a week. We have a reputation for outstanding customer service, but don't take our word for it, read our customer reviews below. 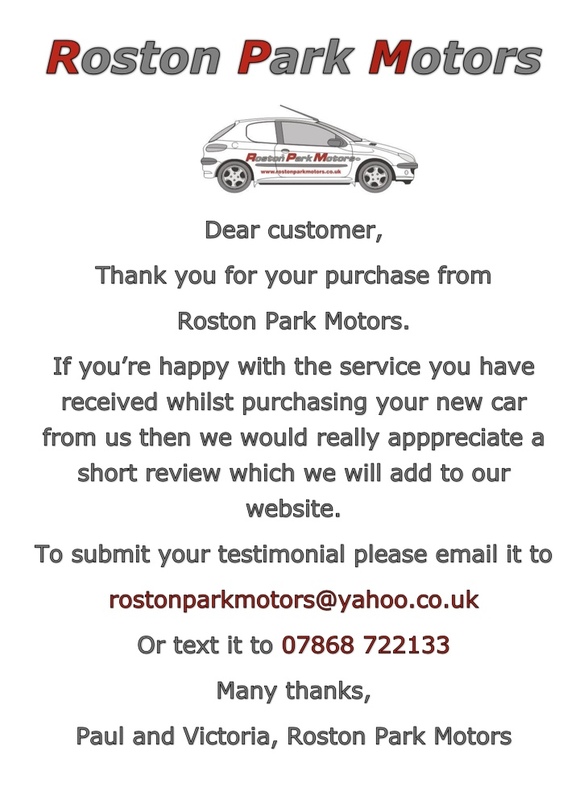 To submit your own Roston Park Motors testimonial, please email it to rostonparkmotors@yahoo.co.uk . Thank you.